Visual examination of the building (inside & outside) to evaluate conditions conducive to mold growth. I inspect the roof, exterior & grounds, foundation structure and all interior spaces for moisture problems. I also inspect the mechanicals, attic, ventilation and insulation. Lab report identifying sampling results is provided to the client. Identification of mold spores collected, spore counts and characteristics along with summary of test’s findings. Sampling methods used include swab, tape and bio-slide. Samples taken inside and outside the building. Complete inspection of remediated area(s) to confirm a successful cleanup. This is collected via an air pump and spore trap. Our traps collect 75 Cubic Liters of air, and identify any mold spores present in the air. All homes have some levels of mold in the air, these samples determine if the airborne levels in the clients home are normal or have elevated levels. We can collect these from any rooms/areas of concern, and we base them off of an outside control sample. This is collected with the same air pump, but with a tube connected to the end of the spore trap to allow a sample to be collected from within walls. These are collected whenever a wall shows signs of visual damage or if a wall has high moisture content. These tell us whether elevated conditions exist behind inaccessible walls to determine if removal is necessary. Surface samples can be taken of any visual discoloration or growth that is observed. We are able to do this by using a medical swab or tape lift. These will identify the species of any observed growth. This often helps when determining the source of any airborne levels. 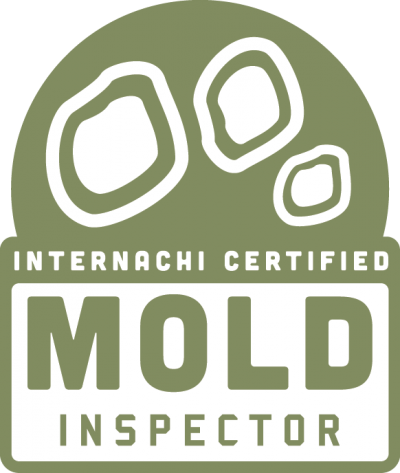 I do not perform mold remediation/clean-up. It is my policy to have no financial interest in the discovery of mold or the results of any remediation.